Seating is limited. Please call Sherry Jordan at 912-618-0287 before April 9th to reserve your child's seat. Location: The John Wesley Center of Brooklet United Methodist Church (109 W. Lane St., Brooklet, GA 30415). Activities: Where Is The Green Sheep? Green Sheep puppet making and storytime, literacy activities & guest storyteller. A FES bridges the gap between home and school by assisting parents in understanding ways they can help their children with academics. Need support information on how to improve your child's academic performance in school? Please call me at 912-618-0287 or email at sjordan@bullochschools.org. Mondays, Tuesdays & Fridays - Please call or email for an appointment. Ask your child what they learned in school today...and if they say "nothing", ask them again until they tell you something! 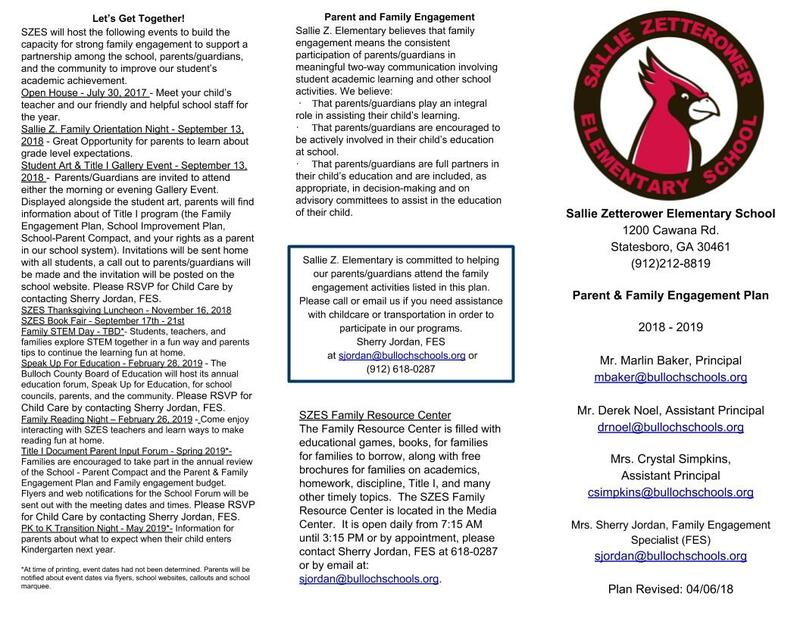 SZES Family Engagement Program Needs Your Feedback! As a parent/guardian of a child attending a Title I school, you are an important part of the Bulloch County Title I team. 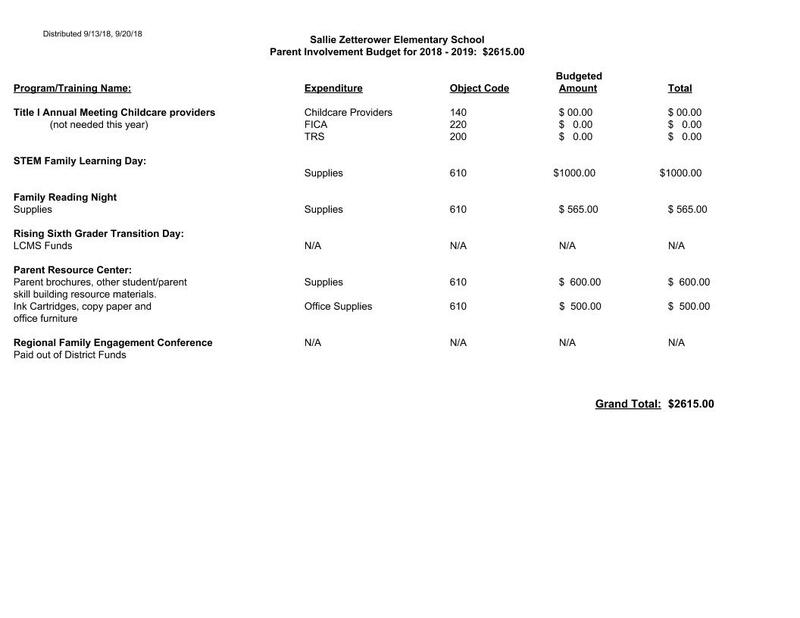 Your participation will assist us with future planning for our family engagement activities and events. Please copy and paste this link https://forms.gle/1pSTHJ4ghz5W64Yr9 to take a short survey. The survey will open on 04/18/19 and close on 05/10/19. 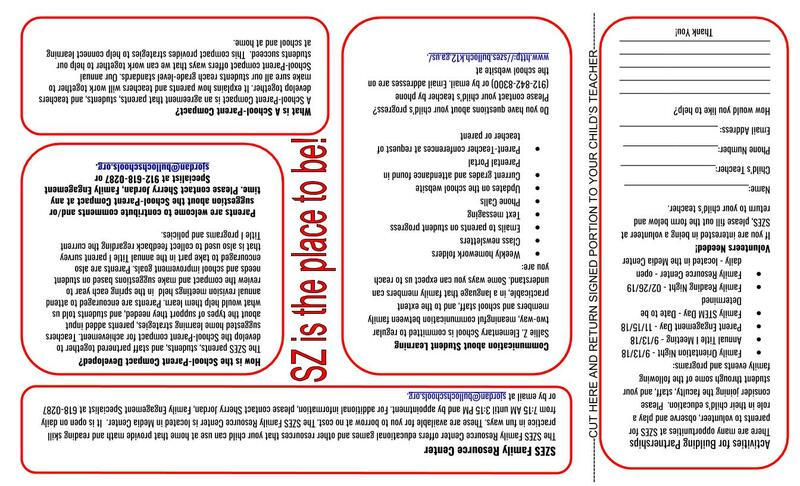 If you have any questions or would like a paper copy of the survey, please call Sherry Jordan, Family Engagement Specialist at 912-618-0287 or email sjordan@bullochschools.org. We appreciate your feedback and thank you for taking the time to complete this survey. Children today have a wide range of sources available to them through the internet for their school projects. Below is a link to an article by Lynette Owens called "What to tell your kids about online piracy" that can help you help them when they are searching for information or music online. 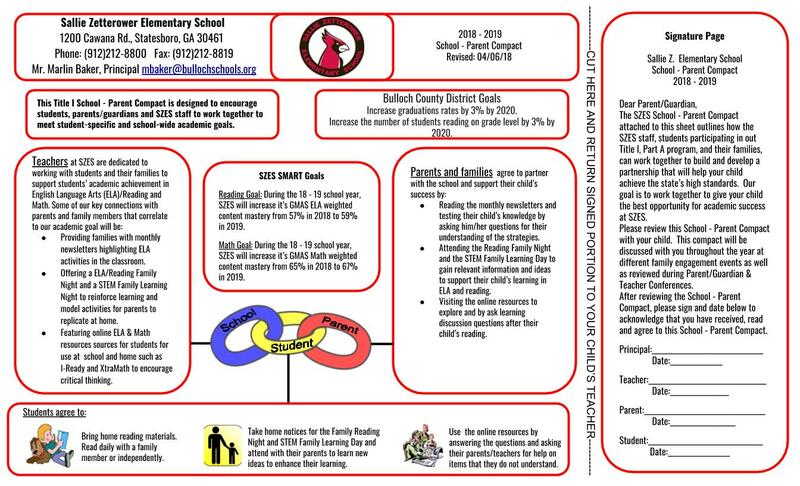 Below are the youtube.com links for the Bulloch County Schools Annual Title I Overview. We are very proud of all of the students that were involved in the making of these videos. Great job kids! It is a place where parents, guardians, grandparents and teachers can go to check out an assortment of educational games, manipulatives, math practice folders, phonics workbooks and much, much more. The Family Resource Center is open daily and is located in the Media Center. If you have questions or need help, please call Sherry Jordan, Family Engagement Specialist at 912-618-0287 or email at sjordan@bullochschools.org. The resources are FREE! Check them out for a week, return them and check out more! And, if you can't make it to the school, just send me a note in your child's planner and I will send it home with him/her. In addition, you can also find resources in our Family Resources Center for the following: parenting skills, computer and internet access, volunteer opportunities, community outreach and family management. Check out the resources available in our center! Recipes for Success has lots of fun educational activities that you can do with your child at home or on the go. All issues are in ADA format. 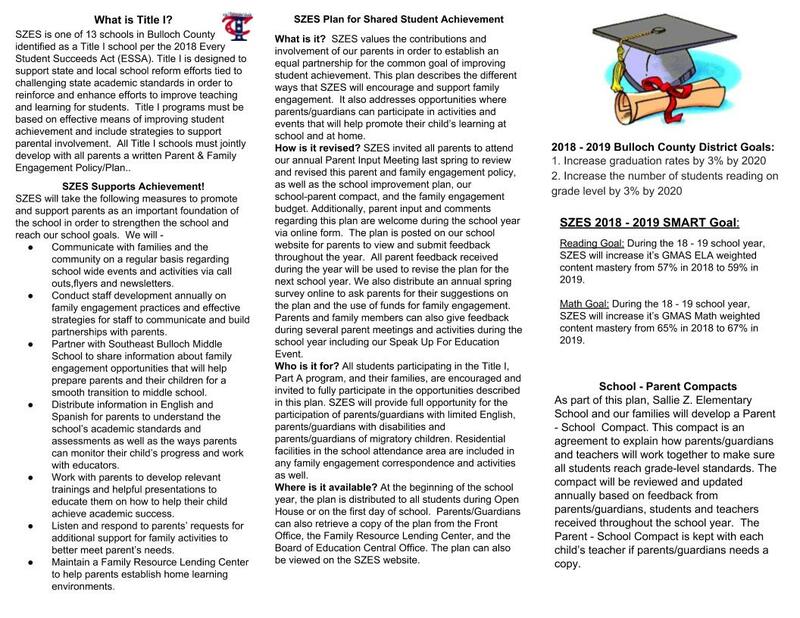 Below are the links for the SZ 2018 - 2018 Parent & Family Engagement Plan School-Parent Compact and Family Engagement Budget.